Share the post "Cream of Cauliflower Soup"
With the winter chill upon us, it is the perfect time for soup. 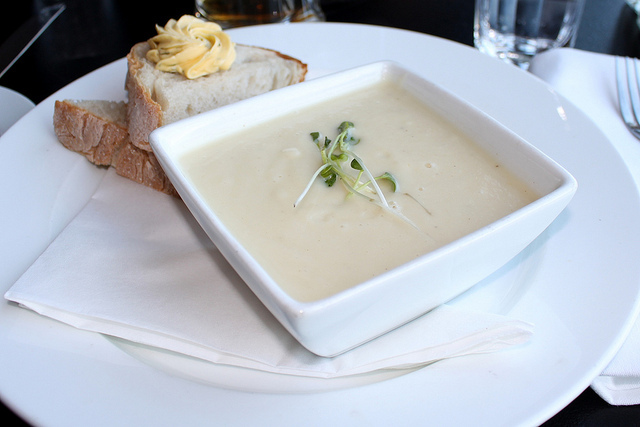 Our cream of cauliflower soups are to die for, and it’s a snap to make. All they take is a simple grocery list and a blender or food processor. You’ll want to make extra! Melt the butter in a saucepan over medium heat. Then add in the onion and garlic and cook about 5 minutes, stirring occasionally. Add in the potatoes and carrots; cook 5 more minutes. Add in the chicken broth; boil and add the cauliflower. Place a lid on the saucepan and simmer the soup for about 20 minutes (the veggies should be tender.) Turn off the heat. Pour the soup into a blender or food processor (work in batches) and puree. Then, heat the pureed soup in the saucepan again, this time on low heat. Add the milk, dry sherry, and spices; stir. Pour the soup into serving bowls; garnish with parsley. 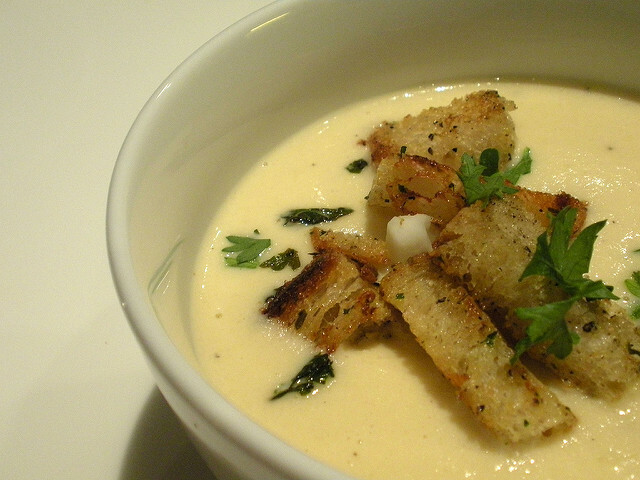 If you loved that cauliflower soup, you will fall in love with this cream of mushroom soup. It’s similar to the cauliflower soup recipe, but with the added meatiness of the mushrooms. This is the perfect winter supper! Mushrooms (assorted varieties, chopped), 1 lb. Preheat oven to 400 F. On a greased or lined baking sheet, place the cauliflower; drizzle with oil, salt, and pepper. Roast cauliflower 20-30 minutes until golden. While cauliflower roasts, heat oil in large saucepan over medium. Sauté the whites of the leeks 5 minutes, stirring until tender. Add garlic; stir and sauté 1 minute. Add mushrooms and thyme; sauté 10-15 minutes to soften mushrooms. Add greens of leeks; stir and sauté 5 minutes. Remove cauliflower from oven; add to saucepan. Pour in the broth and bring the mixture to a boil. Then reduce to a simmer and cook (covered) for 30 minutes. Add salt and pepper to taste. In batches, pour the soup into a food processor or blender and puree into a thick soup. Return the soup to the saucepan, add the cream, boil again before serving.